From time to time in the war on zombies you may find it necessary to take a more stealthy approach to dropping the undead in their tracks. Traditional firearms are obviously effective but tend to be pretty loud. Hand-to-hand tactics also work, but put you well into harms way. An excellent alternative that allows for ranged attacks but keeps the noise level to a minimum is the modern crossbow. 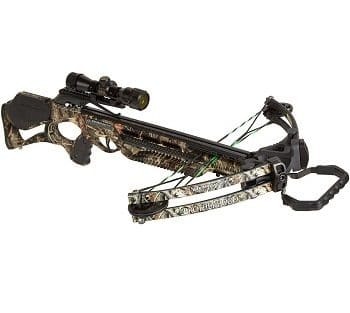 The modern crossbow utilizes a combination of highly flexible materials and pulley systems to load more kinetic energy into a dart than a human could feasibly impart on their own with a traditional re-curve or long bow. This means that you can fire a lethal projectile accurately and further than would be possible otherwise. One of the major benefits of a crossbow is that it doesn’t require a tremendous amount of strength to produce a tremendous amount of force. This makes the size of the crossbow user pretty much irrelevant in terms of their ability to be effective. There are varying sizes of crossbows but don’t get carried away with bigger equals better in this scenario. Remember, the idea of the crossbow is to provide the ability for a mid-ranged stealth attack. If you need to be effective from 100 yards away, get yourself a rifle (we talk about rifles here). So with that being said here’s our pick of the litter when it comes to a great all-around crossbow. This crossbow is a mean, mean killing machine. It’s relatively light at only about 7lbs, but by utilizing a dynamic cam system it’s capable of producing a whopping 350fps projectile velocity. We’re talking about some serious zip on a dart here. The included scope is easily dialed in for accuracy and once you’re locked in you can anticipate quiet but lethal accuracy up to 50 yards. Remember to use crossbow darts and never regular arrows in a crossbow. The arrows fired by regular bows are not designed to handle the kinetic energy transferred by crossbows and can shatter upon firing. Barnett Outdoors also makes a 20-inch Carbon Crossbow arrow that comes in 5 packs, and they’re a really good option. When stealth is required and accuracy is a must, look no further than the Barnett Outdoors Brotherhood Crossbow and Carbon Crossbow arrows. 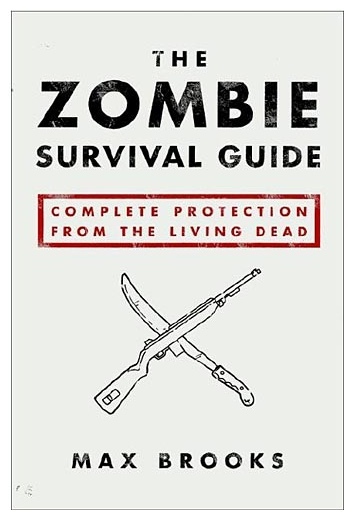 You’ll be whispering “hello” and “goodbye” right through zombie foreheads before they even know what hit them.